Unfortunately small children wander off. It’s one of the most terrifying aspects of being a childminder. You take your eyes off of them for a second, perhaps seeing to the baby, fumbling for your phone, or chatting to your friend, and when you look up, one of them has wandered out of your sight. This is a real danger and very frightening both for the child and yourself, so it is important to have a real set of procedures in place for both you and the child to know what to do if they find themselves lost. In my experience one of the easiest places to lose sight of a child is in the school yard or playground. One way that many childminders on the school run deal with this issue is by putting the children into reflective jackets. These work really well. When you look around the playground, in a sea of little heads, the ones that belong to you really do stand out in that way. Putting reflective jackets on children on outings and day trips can also help you to see them more easily. If you lose sight of a child suddenly what you mustn’t do is panic and run blindly after the child in the direction you think she went! 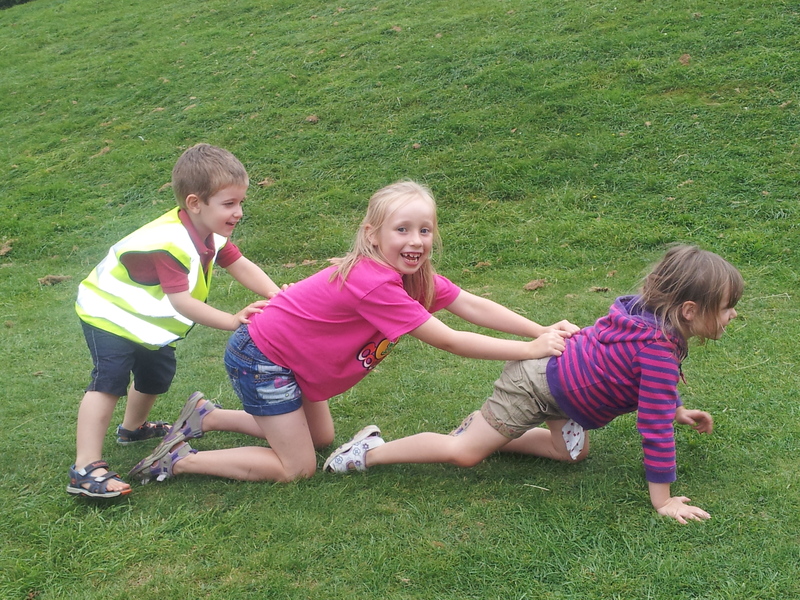 The first thing you should do is to make sure that the other children are holding your hand or the push chair. You can’t leave the others alone. Always think about the ‘found’ children before searching for the missing one. If a child gets lost assume the child is doing what you have told them (and rehearsed) that they should do if they ever find themselves lost. In my setting, I tell them to “stand still the moment you discover you are lost and call my name over and over again, until I come and find you”. This has been drummed into them and practiced. And this has worked for me in the two situations in which I have lost children (one school run, one woodland). In both cases the child did as we had practiced, and was found about a minute later (a minute that seems to last an hour whenever I replay the situation in my head) standing still shouting ‘Kay Kay Kay’ over and over again. This really does work, but only with children who are mature enough to remember what to do. On outings a good method used by many childminders is to put sticky labels onto the children’s BACKS which say something like ‘I’m with my childminder’ and put your mobile number. By putting them onto the backs of the children’s coats, this stops them from pulling the stickers off. Under no circumstances should you put the child’s name onto this label. Another inexpensive method childminders often use is wrist bracelets with the childminder’s phone number on them. Download a copy of my Getting Lost Worksheet to create a ‘getting lost’ procedure for your setting. Does each child know what to do if he finds himself lost at the library, on the school run, at the music club or soft play gym you normally visit? In the first column make a list of the normal outings in your setting. This list should include the school run, the music club, the park, the nursery collection, and the supermarket for example. All of the places you frequently take the children where there is any risk that they could become separated from you. How should the child prevent himself from getting lost? Next think through your preventative procedure in each of these places and what the child is supposed to do. What are the rules? How should the child best prevent himself from getting lost in in each place you go? On the school run, for example, perhaps the child should keep hold of your hand or the push chair. At the music club or soft play gym, where the hand-holding rule is not appropriate, perhaps the child should know never go out of ‘that door’ without you? You may want to print one worksheet per child as the preventative procedure could be different for each child. What should the child do if he finds himself lost in each place? Now think about your ‘what to do if you find yourself lost’ procedure in each situation. On the school run you might have a ‘stopping points’ procedure? We have a rule that if any child finds himself separated, he knows never to go through a particular gate without me and knows that I will never go through it without him. If he finds himself lost, he is to stand still and I will come and find him. He can also speak to one of the teachers who is a ‘safe stranger’ and will help him. Obviously rules for school age children need to be different from those for pre-schoolers, but it is helpful for children of all ages to know what they need to do. In another example, imagine your library music club. The library is small but it is still possible for a child to find himself lost. Each child knows never, ever to go out of the library without me. If they find themselves suddenly lost they should stand still and call my name over and over again and I will come and find them. Or they can ask the lady who runs our music group or one of the librarians to help them. 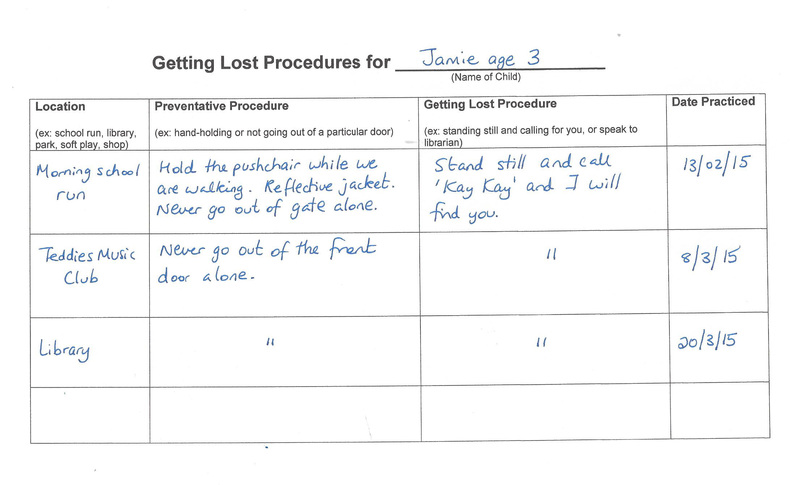 When we are out in the park or on outings to new places or special day trips, the very first thing I do when I arrive is to tell the children what our ‘getting lost’ procedure for that place will be. Whether they should ‘stand still and call my name over and over until I find them’ or whether they should ask an employee for help depends very much on the situation and the child. The child needs simple rules they can follow and understand. Does each child know what the rules are in each situation? It is easy to take it for granted that children know these rules, but especially with new children starting, it doesn’t hurt to run through things. The last thing you need to do is to practice. If the child finds themselves lost, they need to practice what they will do so that when it happens for real they know what to do. The children will think this is great fun! 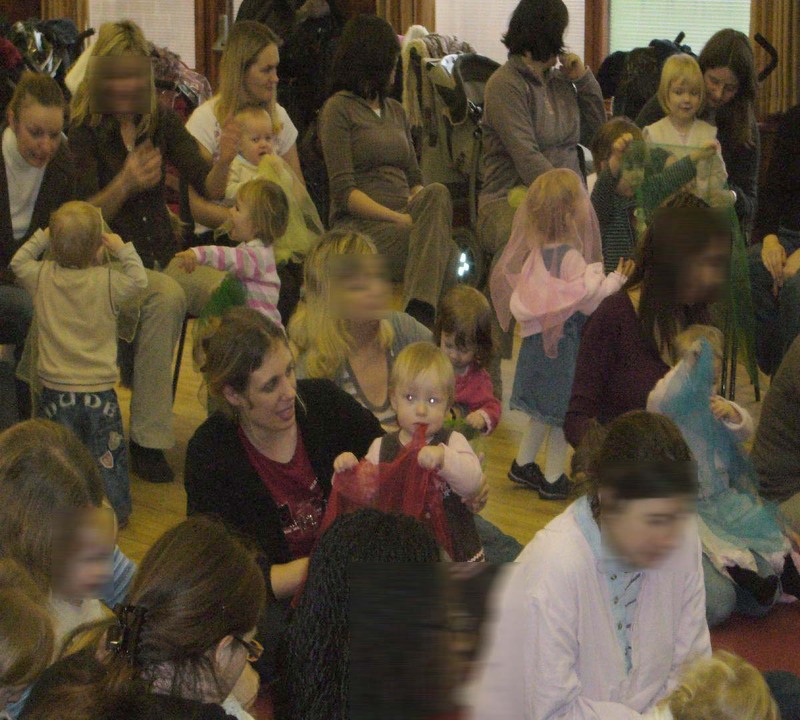 Would you like some ideas on how to promote safety and health in your childminding setting? For more information on teaching safety and health topics to childminded children check out my Be Safe Be Healthy Pack with practical activities, craft projects and colouring pages. Also you can sign up for free for my quarterly Childminding Best Practice Newsletter using the orange sign up box on my website for lots more tips, quizzes and safety news affecting childminders.